"Bass, for me, is about feeling the pulse of the music; what’s going to make people get up and move? My Bartolinis help convey that in my sound. They’ve never let me down"
Joey’s musical journey began in middle school in the early 80’s playing the French Horn in concert band. While it was here that he learned how to read music, it wasn’t the “coolest” instrument for a middle school boy to play so he quickly took up guitar. He credits his dad, also a guitarist, for teaching him his first three chords. Shortly thereafter, an opportunity to play bass in a band concert came up and since there was one already in the house, it was an easy transition. Ironically, it was during this time that Joey and fellow Bartolini artist Adam Nitti were friends and would trade off who would play bass in their “garage cover band”. During high school, Joey had a brief stint as a guitar player in a contemporary Christian rock group but the band’s inability to keep a bass player saw Joey moving back to bass guitar; he never looked back. After high school, he was introduced by a friend to Belmont College in Nashville, TN where he attended for a year. It was a pivotal year; one where he would make friends with people who would later go on into the music industry. Upon returning home, he was introduced to Luthier Bill Covert. Bill built him his first custom bass. This is where Joey was first introduced to Bartolini pickups and their unique sound. Fast forward to 2011, Joey was introduced to the members of Jill’s Cashbox, a Central Florida country band. It was with JCB that Joey reconnected with his passion for playing and entertaining people. Since then the resume of He has also performed major festivals such as Runaway Country. Joey has also recorded original material with Jill’s Cashbox with one particular song, Fishing In Our Soul hitting over 200,000 views on youtube. Today, he is active in the Central Florida music scene in Country and Rock with his bands Jill’s Cashbox and the Alex Hayes Band. Performing the circuit of venues, corporate gigs and festivals, opening for the likes of national artists such as Lynyrd Skynyrd, Dierks Bentley, Joe Nichols, Chris Young, Craig Campbell, Toby Keith, Jake Owens and many others. He is quickly becoming a first call sub for churches and other local bands as needed. Recently he was called by his high school friend, John Goff, co-writer of several Matchbox 20 hits to fill in for JB Crockett a Nashville singer/songwriter. He jokes, “JB was calling out songs not even on the setlist. It was a blast figuring them out on the fly!” Of his Bartolini pickups, he is continually impressed by what he can create with his tone. The main characteristic he loves is the subtle sweetness he gets in the upper midrange frequencies. 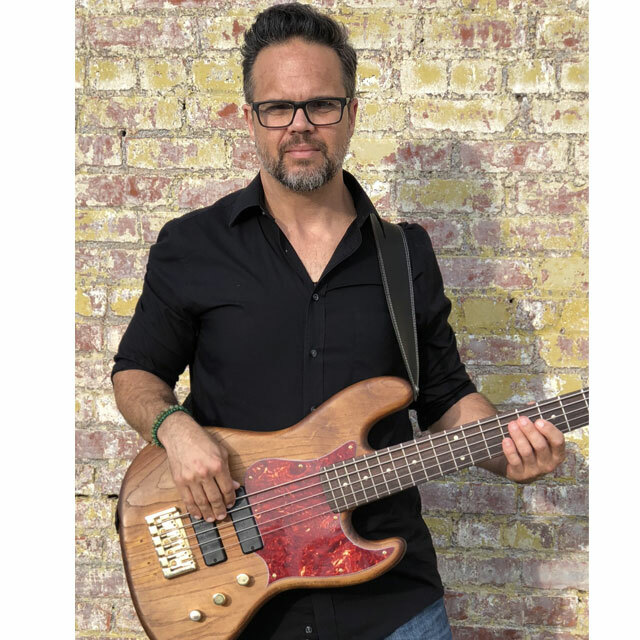 Whether it’s Country, Rock, subtle funk infusions or Contemporary Christian/Worship, live or in the studio, his Bartolini’s always deliver the tone he wants.